Get into the summer vibes with this white floral mini bodycon dress. 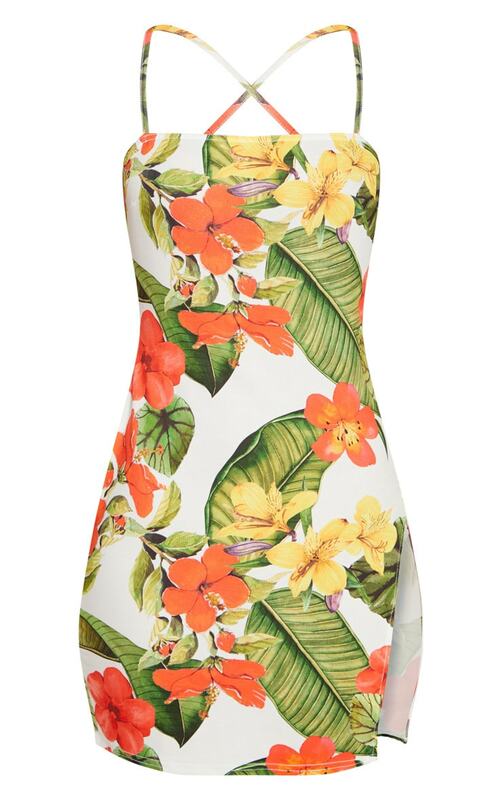 Featuring a bright floral all over print, thigh split, square neck and bodycon length. Team with statement earrings and strappy heels for a look we're loving.